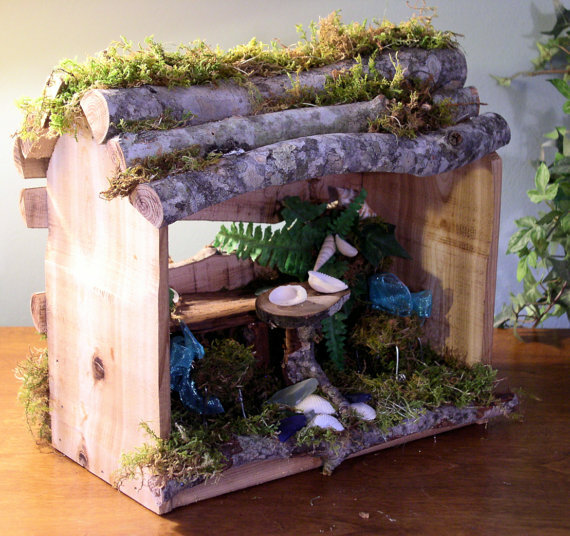 One of a kind custom sculpted Woodland Fairy House Handmade Cafe with Fairy Furniture is a fairy sculptures by Laurie Rohner. SOLD Woodland Fairy House Beach Cafe is the theme for this custom woodland fairy house with cedar and branches for walls floor and ceiling, covered with moss. 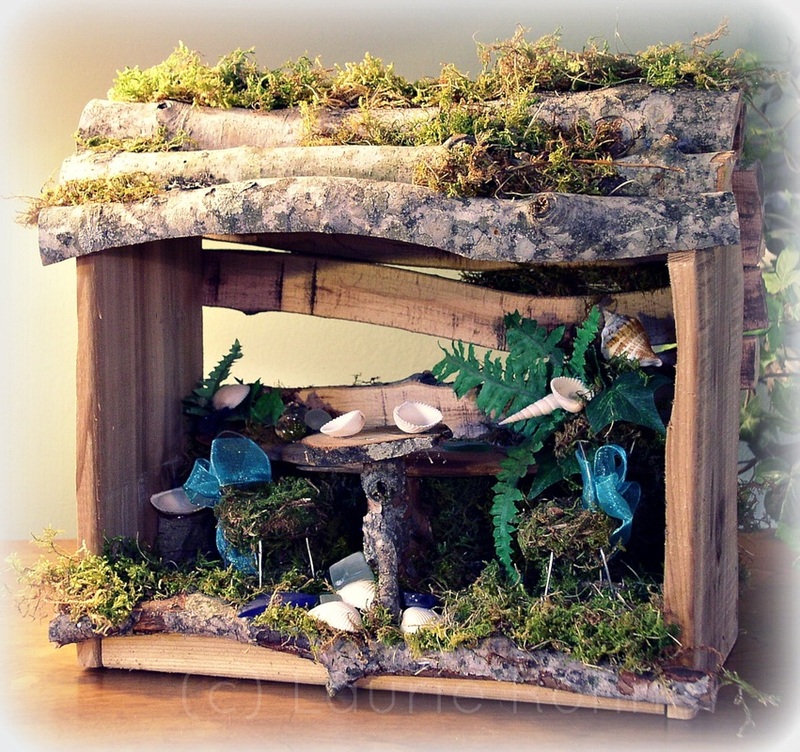 Have a cottage at the beach well then add this beach cafe for the faeries too. 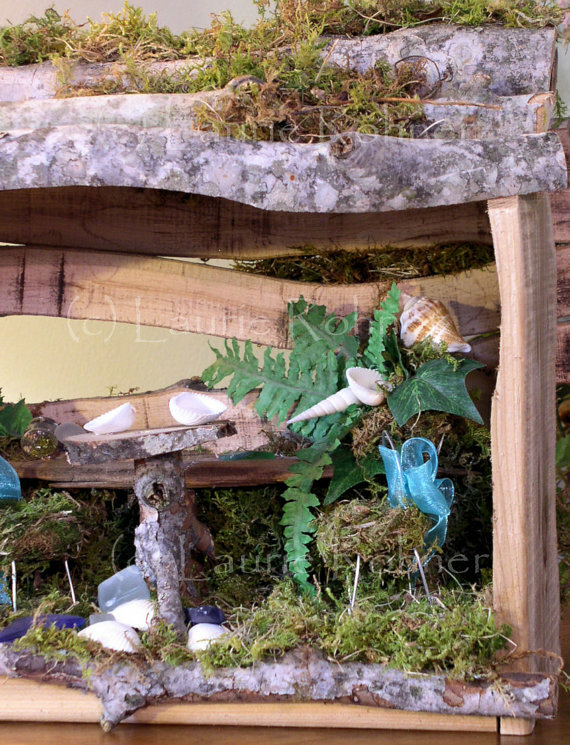 Inside a shelf along the back just under the window made from drift wood and decorated with shells and plants. The main feature is the cafe table and chairs. 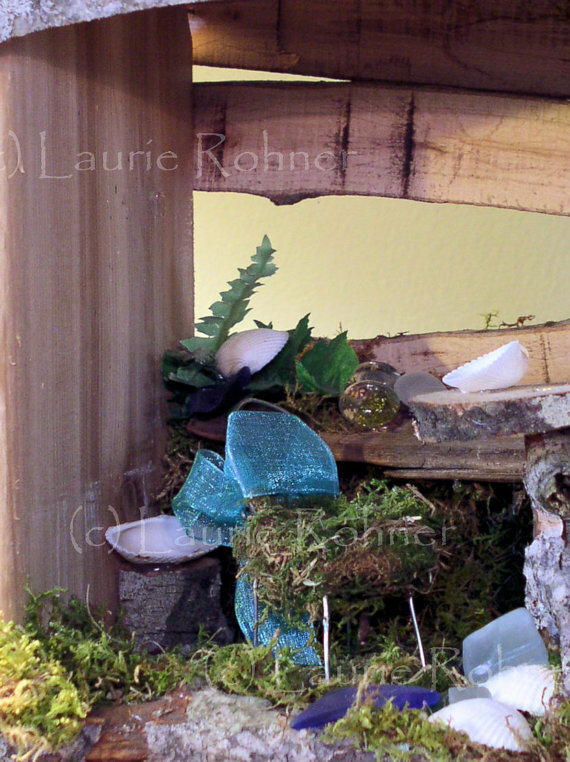 The table from branches and the chairs are wire with moss cushions and ribbon backs in ocean blue. A whimsical sea side retreat. 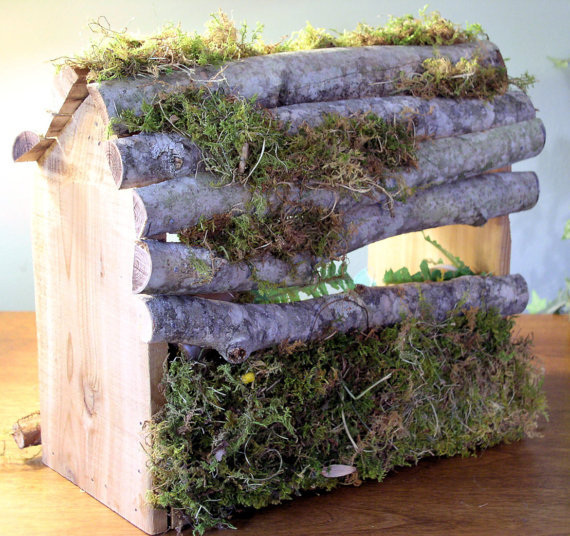 Measures: 11.75" x 8.5" x 8"